Recently there’s been a craze for hot donuts here in Tokyo, but people can only cram so many into their pieholes while sitting in the store. What about the dozen they’re taking home to fatten up their friends and family? 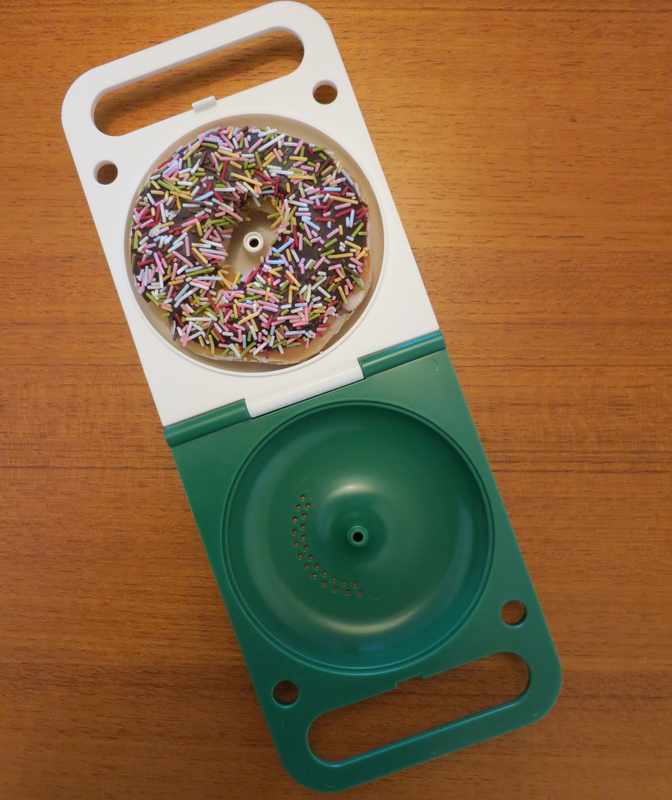 Enter the dedicated donut zapping case! In the land where perfection is prized, Krispy Kreme is not alone in turning out donuts that are so perfectly alike that no matter where or when you buy one, it’ll fit snugly in the case, ready to be tossed in the denshi renji for the recommended 5 seconds. Krispy Kreme is in Japan? Is that the only donut option? I’m a fan of Shipley’s myself.